Apple hat den Rechtsstreit gegen Samsung gewonnen und dabei die Summe von $1,049,343,540 zugesprochen bekommen (wie sich die Summe zusammensetzt, lest ihr hier). Auch wenn Samsung in Berufung geht, hat das Urteil weitreichende Konsequenzen. Weniger aufgrund der Höhe der Summe (finanziell kann Samsung so etwas verkraften), sondern eher wegen eines möglichen Verbots von Samsung-Produkten in den USA. Was dem freien Wettbewerb auf dem Smartphone/Tablet-Markt einen herben Schlag versetzen würde (siehe dazu auch das Urteil des Düsseldorfer Landgerichts letztes Jahr). The jury’s quick decision – just two days of deliberations in an immensely complex case, with more than 100 pages of instructions from the judge – surely means the panel members had made up their minds in the courtroom and spent most of their time in the jury room filling out a 20-page form of checkboxes and granular detail. And on almost every point that mattered, they gave Apple what it wanted. 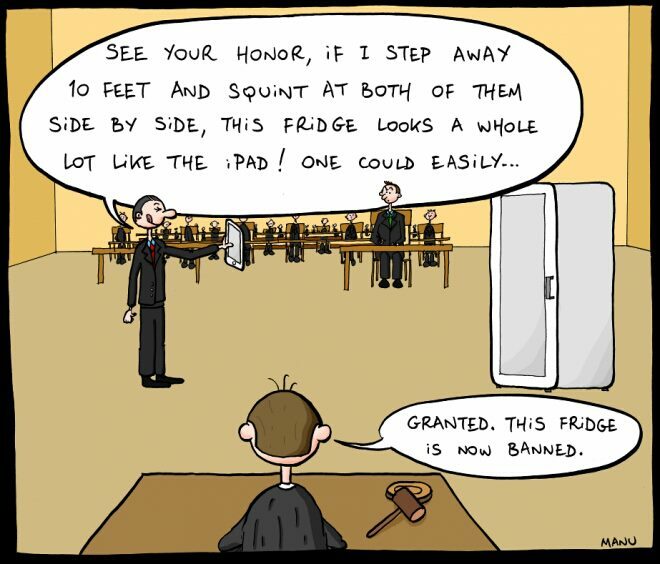 The jury tossed out virtually all of Samsung’s counter-claims against Apple for infringement on its own patents, and awarded no damages to Samsung. Crucially, the jury found none of Apple’s patents invalid, despite substantial evidence that others anticipated many of the innovations that Apple put together when it released its first iPhone. 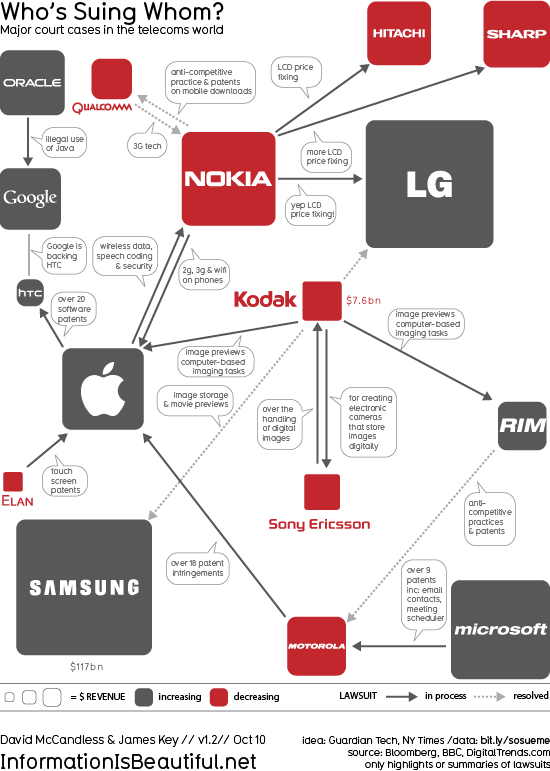 This is a shame, because Apple’s abuse of our out-of-control patent system has given Apple its chief ammunition in its global campaign to destroy Google’s Android operating system, which Samsung (and many others) adopted for its smart phones.